We’ve been making banners for over 20 years, for Businesses, the Entertainment Industry, Schools, Cities, Charities, Churches and Families. We care about what our customers think and won’t torture you with a phone maze. 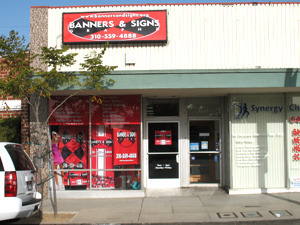 We’ll spend time to figure out the exact look you want on your banner or sign. We also supply a variety of stands, and we rent stands for a reasonable price and provide installation services.